Are you looking into becoming part of the ever growing Water Damage Restoration industry? 911 Restoration™ franchise offers you the opportunity to build a better future for yourself. With our experienced management staff and comprehensive training program you will receive the advice, tools, expert assistance, guidance and support you need to start and operate your own 911 Restoration™ franchise. We are with you every step of the way as you take control of your own future. This is the opportunity to build a business to fit your personal goals and lifestyle. 911 Restoration™ has franchise locations around the United States and one province into Canada. The 911 Restoration™ model is to work with only the most qualified and effective business people in each market who will best represent 911 Restoration™ as the industry leader in restoration services and emergency services. The benefit to you when considering 911 Restoration™ is that the franchise system is proven from the standpoint of marketability and effectiveness in diverse marketplaces. We are at a unique crossroads in the business's growth that we are at the size and capacity to grow the company substantially, but there are still a large number of available territories for qualified franchisees. Don't wait too long for your opportunity to join 911 Restoration™ before someone takes your area. By joining the 911 Restoration team you will be entering the restoration industry. This business is a "Recession Resistant" industry, we hate to use the term "Recession Proof" when describing any business, but the fact of the matter is that people need the services that 911 Restoration provides regardless of how the economy is doing! The bottom line is that we help people in emergency situations. As a 911 Restoration franchisee, you will see a multitude of different revenue streams. The benefit to you as a new business owner is that you are not dependent on a single revenue stream. In any business model, you want to make sure that your business is not reliant on a single market. 911 Restoration has three distinct markets for you to approach that are all growing and each has fantastic potential for growth. Fire Damage work – We provide services to people and homeowners who have recently experienced a fire disaster and have smoke or fire damage to their home or building, this again is something that needs to be done regardless of how the economy is doing! Water Damage work – As a 911 Restoration franchisee, you will also be doing work on water damage repairs. This includes work that comes from pipes bursting in homes, hurricanes, bad storms and any other disaster scenarios that could inflict water damage on a home or building. Mold Remediation – On of the fastest growing areas of business is the mold remediation business, we have an enormous amount of growth and revenue in this segment of 911 Restoration's business. With the 911 Restoration Franchise you will have the industry's leading training and support systems to help you build your business and manage the growth of your franchise. 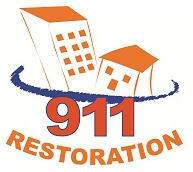 911 Restoration is focused and committed to its franchise network, we are a growing company, but with 30 franchisees, you can be assured that you will be given the attention and time needed for you to completely understand the business and get comfortable with the restoration industry.